Delay in shifting Asiatic lions, an endangered species, to Kuno-Palpur sanctuary, situated in Sheopur district of Gwalior-Chambal division in Madhya Pradesh, from the Gir National Park by the Central, MP and Gujarat governments, has left the big cats at risk. 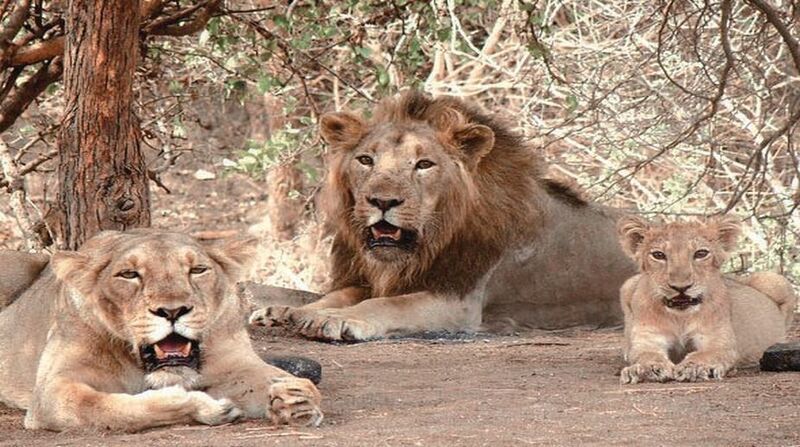 In April 2013, the Supreme Court had directed the Central goverment to relocate some Asiatic lions from Gujarat’s Gir forest to Kuno-Palpur sanctuary. The court had said the species faced the threat of extinction and needed a second home. It had given the wildlife authorities six months to complete the process. In November 2017, the apex court issued notices to the Union Environment Ministry and the Gujarat government in connection with a contempt petition over not implementing the top court’s order of April 2013. Meetings of the expert committee, which has been constituted for complying with the Supreme Court directions, have not been conducted since December 2016. Additional Director General Wildlife, Principal Chief Conservators of Forests of Madhya Pradesh and Gujarat, National Wildlife Board member MK Ranjit Sinh, expert scientist Ravi Chelam, officials of the Environment Ministry, forest officials of both states and other wildlife experts are members in the Supreme Court-appointed expert committee. M K Ranjitsinh recently said the Madhya Pradesh government was not serious about relocating the Asiatic lions. The expert committee had at its last meeting in December 2016 in Kuno said the wildlife habitat was ideally suited for the Asiatic lions. But Gujarat forest officials had objected and demanded that 36 studies as mandated by IUCN (International Union for Conservation Nature) be completed before the endangered Gir lions are transferred to Kuno. “Kuno-Palpur is a suitable habitat in accordance with the IUCN guidelines. Kuno was found to be the most suitable site for reintroduction in establishing a free-ranging population of Asiatic lions by the Research Advisory Committee of Wildlife institute of India in 1995,” H S Mohanta, Chief Conservator of Forests of Kuno lion project, told The Statesman. “Not conducting regular meetings of the expert committee is a major cause for delaying the translocation of lions,” Mohanta added. IUCN had in 2000 added the Asiatic lions (Panthers Leo Persica), found only in Gir forest of Gujarat, to the list of critically endangered species. There is only one habitat of such lions in the world. The population of the Asiatic lions is around 650 in the Gir forest, as per the lion census report released by the Gujarat government in 2017.